Lintels are structural devices that are used to support brick, stone, or other types of masonry work. If you have noticed that the lintel areas around your garage, doors, or windows have begun to sag or break, you will want to schedule immediate repairs. 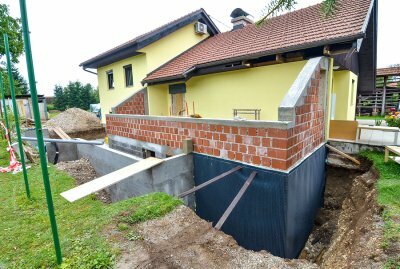 A company that offers foundation repair and waterproofing near San Antonio can also provide you with concrete correction services. By trusting your lintel repair to a qualified contractor, you can feel great knowing that your home’s masonry is in great shape. Read on for quick guide on what you need to know about lintel repair. The first step of lintel repair is to take the time needed to fully assess the damage. Typically, lintel problems are caused by improper initial design. Your contractor will need to check to see where the initial problem took place, and what has caused the structural issue. This information will be invaluable when it comes time to design a new lintel support system. After the damage has been assessed, it will be time to remove the damaged areas of the lintel. In order to keep the structural integrity of your property intact, your contractor will need to make sure that the lintel is supported by an exterior brace. With the lintel properly braced, your contractor can remove any damaged mortar, bricks, or other materials. Additionally, the damaged area can be cleaned out and prepared for the repair procedure to take place. Once the problematic areas have been properly removed, it will be time to replace the damaged section of lintel. In order to secure the lintel into place, your contractor will use a series of very heavy duty bolts. After the bolts have been drilled into place, the lintel will be returned to its proper positioning. To finish the job, your contractor will smooth a matching mortar product over the surface of your lintel.